Hollywood has an abundance of superhero figures: Superman, Spider-Man, Batman… But, Japanese pop culture had no superhero icon until one finally emerges with the movie K-20: Legend of the Mask. 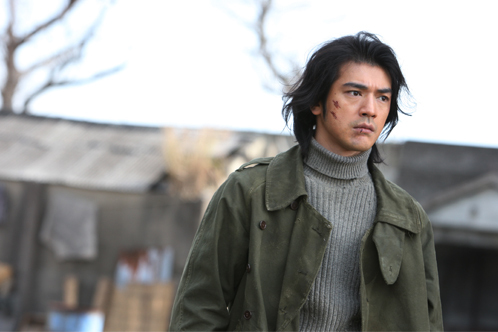 And to add onto the celebratory note, it’s none other than Asian heartthrob Takeshi Kaneshiro. The plot deals with the efforts of elite detective Kogoro Akechi (Toru Nakamura) in capturing a Robin Hood-like masked thief who steals from the rich effortlessly (with a Zorro-like entrance) and gets away in the nick of time. Thus, the phantom thief is known as K-20, that’s short for Kaijin Niju-Menso (The Fiend with 20 Faces). 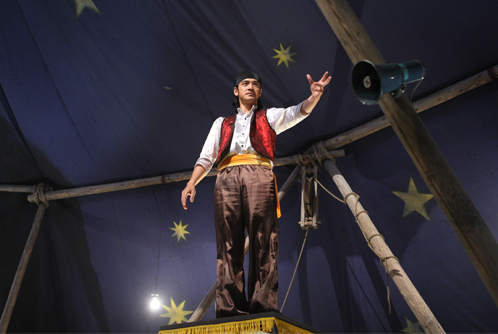 Kaneshiro enters the story (in a much less fancier way than expected) as Heikichi Endo, a poor circus acrobat, who lives with the motto of “Stealing is wrong”. However, when he is employed by a mysterious stranger to photograph the detective and his fiancé Yoko Hashiba (Takako Matsu), he is mistaken for the thief and finds himself being tracked down by the detective. The idea of proving his innocence compels him to learn the tricks of being a thief with the help of a “thief manual”, so he can wage war with the genuine masked thief. But, the fiend seems to be interested only in Yoko. As a superhero movie, the plot is predictably evident: Superhero wants justice, fights for it, and in the midst of it all ends up saving the heroine. The setting of K-20 creates an alternative-Japan history, set in a fictional city of Teito in 1949, where Japan avoided battling in World War II and the Japanese society continues with the strict class system. Despite the setting, Yoko turns out to be less demure, as she goes to great measures to help Heikichi, like flying a plane professionally down the side of a skyscraper. 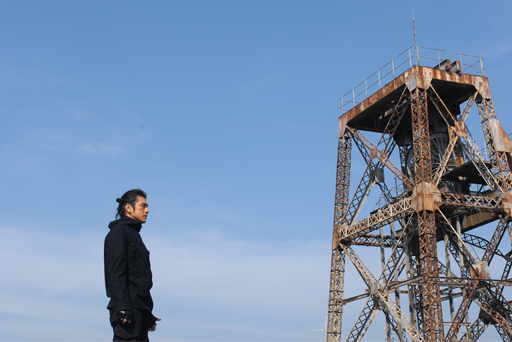 What you might marvel at is the attempt of director and scriptwriter Shimako Sato in creating the Japanese version of Spider-Man-like thrill, in which Takeshi’s character zooms up and down buildings and flies from one to another at a vertiginous height, as he hones his parkour skills – a French-developed sport of overcoming obstacles with speed and strength. This was earlier seen in the Hollywood film Casino Royale. There is even a scene that almost seems to be a rip-off from Spider-Man, when Yoko holds dearly onto Takeshi as he hangs off a building with the support of his trusty wire-reel gadget. The scene comes complete with dark blue night sky filled with stars and falling snow as its backdrop. But, then again, don’t all superhero movies have this kind of romantic scene? Probably the only reason you wouldn’t like K-20 is that the action scenes have already been played out in Hollywood (or maybe you just don’t like Takeshi). 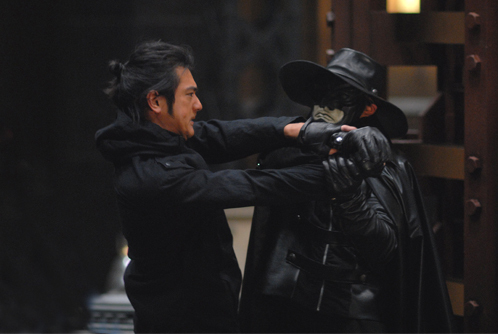 Comedy is a sure thing, especially when Takeshi attempts to pass off as the masked thief by letting out his trademark laughter. And no one (especially Takeshi’s fangirls) will forget the part when Takeshi, while learning the art of disguise (a MUST for any thief), went all out to disguise himself as an Indian, complete with a turban. The ending most probably would catch you by surprise, conquering the Sherlock Holmes-type of suspense. Together with Spider-Man-inspired action and the level of comedy evident in Kaneshiro’s Accuracy of Death, K-20 is a fun-filled movie meant to be watched with a group of wacky friends. P.S. The Oasis provided the theme song for K-20 – do check out the track “The Shock of the Lightning” from their album Dig Out Your Soul. UrbanWire gives K-20: Legend of the Mask 3.5 out of 5 stars.